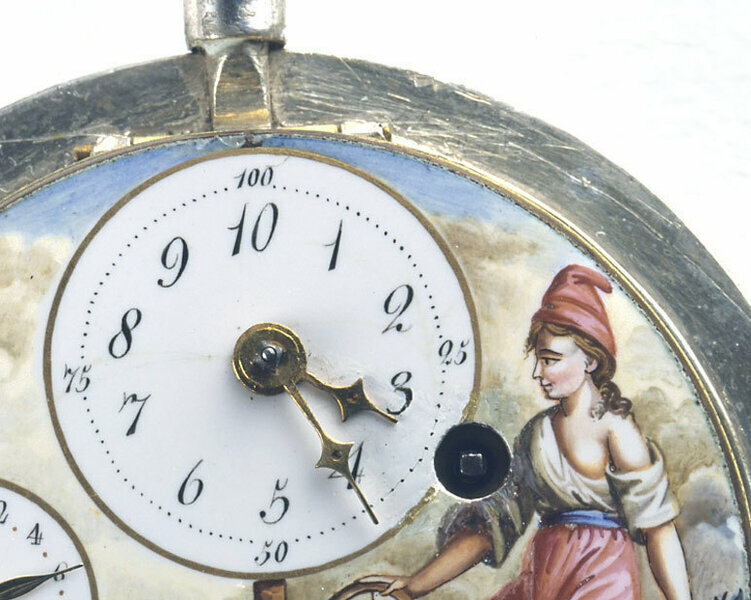 A watch or Clock dial made in 1793, after the French Revolution which imposed the decimal calendar. 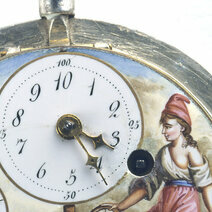 The year was divided into 12 months and each month into three 10-day periods known as décades. The day was divided into 10 hours and each hour into 100 minutes. The decimal or Republican dial was therefore graduated from 1 to 10. Never accepted, manufacture of these dials ceased in 1795. In a self-winding movement, a heavy metal disc that turns freely in both directions to wind the mainspring.See rotor.